Dogs have a lot of things in common with people. Dental issues are one. As humans age, they can develop dental problems, and dogs are the same way. If a dog hasn’t received proper dental care throughout his life, odds are that he’s going to have some senior dog teeth issues. Even dogs who have received regular care can still have a tooth issue in old age. Tooth loss can often result, leaving an older dog with fewer teeth to chew with and a painful mouth to boot. And in some cases, dental disease can lead to serious systemic illness and a shortened life span. 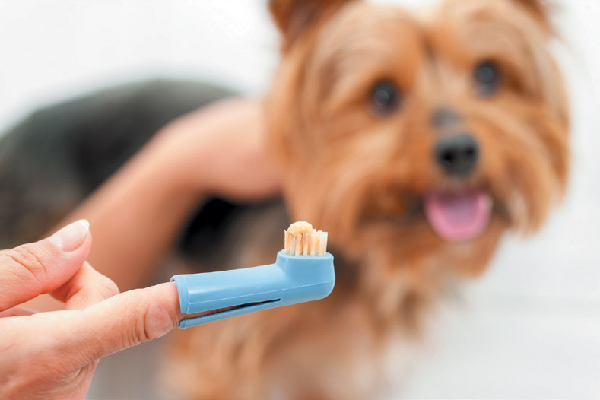 Senior dog teeth issues can happen even if you’ve been careful about your dog’s dental health. Know the signs! Photography ©karelnoppe | Getty Images. 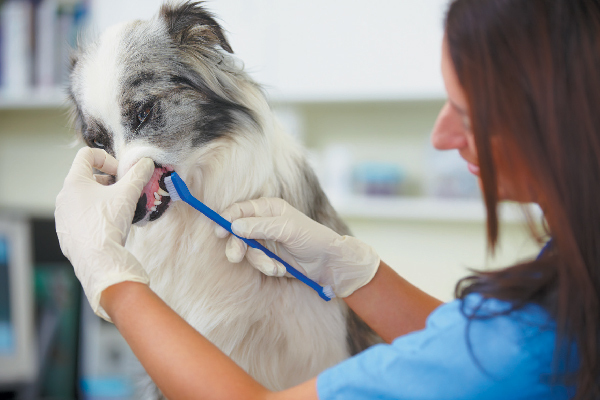 Bad breath: When your dog has bad breath, something is going on with his teeth or gums. He may have a gum or tooth infection. Don’t cover it up with doggie breath mints. Take him to the vet. Trouble eating: Dogs with mouth pain often struggle to eat their food. They may chew only on one side, drop food from their mouth when eating or just refuse to eat. Signs of pain: When dogs are in pain, they have a way of showing you. If your dog’s mouth is hurting, he may paw at his face or rub it on the floor. He may also become depressed and lethargic. Tartar on teeth: As with humans, plaque becomes tartar when it builds up on the teeth. Daily brushing only does so much to keep tartar at bay. Eventually, a cleaning is needed to remove it. Tartar is bad because it affects the health of the gums, which in turn compromises the teeth. If not addressed, excess tartar can result in periodontal disease, which causes inflammation of the tooth’s deep supporting structures. The end result is tooth loss. Good news: There are ways to help your senior dog combat his dental issues. Photography by Holly Hilldreth Photography. 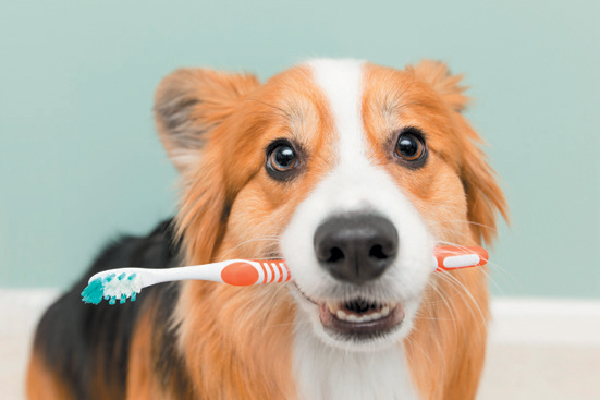 Daily brushing: While it’s hard to find the time to brush your dog’s teeth every day, the more you do it, the healthier his gums will be. Just as with humans, plaque builds up on his teeth and under his gums and can cause periodontal disease and tooth loss. Daily brushing helps remove that plaque, putting less stress on the gums. Provide healthy chews: While it’s tempting to provide your dog with bones and hard chew toys, the truth is that dogs can break their teeth on these products. (My Corgi, Nigel, had to have a crown put on one of his back molars because he broke his tooth on a hard toy. It became quite the object of conversation.) The best chew toys are ones that give in response to the dog’s jaw pressure and aren’t hard enough to break a tooth. Tell us: What senior dog teeth issues have you dealt with? Thumbnail: Photography ©PeopleImages | Getty Images. An award-winning writer and editor, Audrey Pavia is a former managing editor at Dog Fancy magazine and former senior editor of The AKC Gazette. She is the author of The Labrador Retriever Handbook (Barrons) and has written extensively on horses as well as other pets. 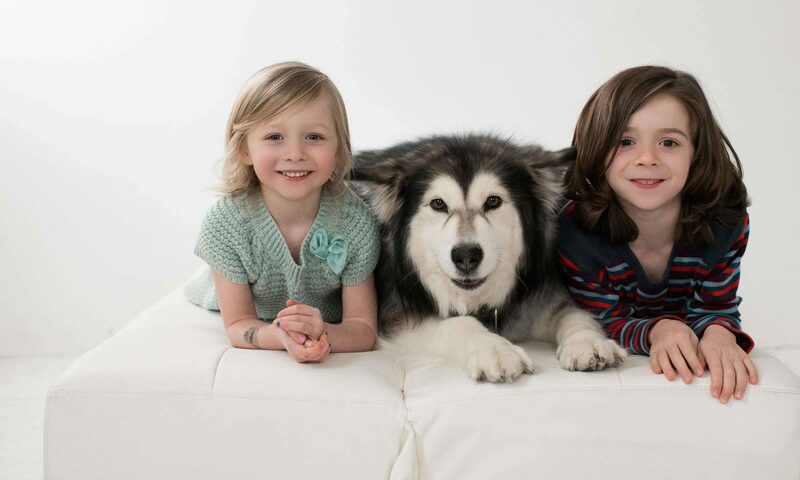 She shares her home in Norco, California, with two rescue dogs, Candy and Mookie. Dog Drooling — Is Your Dog’s Drooling Normal or Not? The post Senior Dog Teeth Issues and How to Prevent and Care For Them appeared first on Dogster. Green Dog Poop – Is It Always a Cause For Concern? Client Spotlight — Stable Hands Pet Care And Services! How Good is Day Care Boarding For Your Pet?